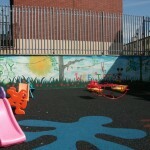 Address: Wee Tots Crèche & Pre-School, 2A Basin Street Upper, Dublin 8. 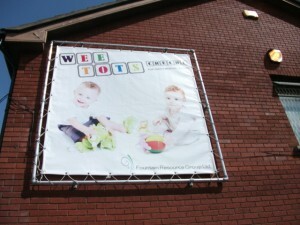 The Wee Tot’s Crèche, incorporating a Pre-School, and has been one of our major successes to-date. Starting from modest beginnings in the former Convent Chapel, it now operates from a refurbished, state of the art facility in Basin Street. This is the first step in our programme of services for every stage in life for people in the locality. 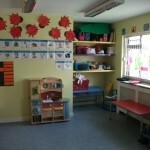 The crèche and pre-school caters for children between six weeks and five years and employs over ten staff. Parents who are working or undergoing education are given priority to use this service. This is to ensure the advancement of parents in the area. The children are given hot, nutritious food once a day. Presently, the service operates on a full-time basis between the hours 8.15am and 5.00pm a day. 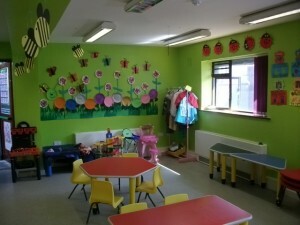 The crèche aims to meet the highest standards of care and is fully compliant with the relevant regulation governing childcare in Ireland. 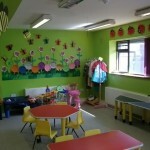 The facilities include a secure and safe outdoor play area, state of the art equipment and popular children’s toys and 5 separate rooms segregated on age group each with qualified care staff present at all times to ensure safety and enjoyment for all the children. 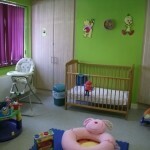 The service puts equal importance on the care and the development of the child. It provides a wide array of activities which develop the cognitive, social and physical skills of the child. We aim to ensure the service is available to those who need it whatever their financial situation. For Further information please contact Jackie Dutton, Helen Meehan or Lorraine O’ Neill at 085 7228981. The Crèche may also be contacted at the Fountain Resource Group main office at the following number: 01-454 6753 requesting Tom Brunkard. Phone: 085 722 8981/01 454 6753 – Address: 2A Basin Street Upper, Dublin 8.